As some of you may have heard there are changes coming to the way we manage age groups for youth soccer, these changes affect both Travel (WYSL) and Recreation (AYSO) soccer in Pleasantville. The most impactful change for Pleasantville is that teams will be formed by birth year as opposed to by grade. The US Soccer Federation has decided to move soccer in this country to a birth year basis for forming teams. (See here for more information: http://www.ussoccer.com/stories/2015/08/24/18/07/150824-coaching-player-development-initiatives-rel the birth year basis for forming teams is a national mandate and one that Pleasantville Soccer has no influence over. 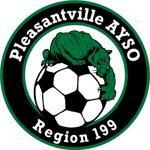 This move to birth year registration will have an effect throughout the Pleasantville Soccer community and due to implementation mandates will impact WYSL and AYSO at different times. WYSL has made the decision to implement this change in the Fall of 2016. AYSO will not mandate this change until the Fall of 2017. Once again, the timeline implementation schedule is not the decision made by either Pleasantville Soccer organization. Based on the mandated guidelines, the primary affected group will be children born December or earlier in the year before most of their current grade. Requests to “play up” in the Spring 2016 season will be assessed on a case by case basis as it is largely dependent on the number of players requesting a move, both into and out of age groups. The reason we are supporting the requests is to ensure children get a chance to play in a more competitive environment before trying out for a travel team. We will be holding a parents information meeting on April 12th at 8 pm at the Clinton Street Center to explain these changes in greater detail and allow for questions. Below is a brief explanation to allow parents and coaches time to form any questions they may have. If you have any concerns about this prior to our parent’s meeting on April 12th, please reach out to either Scott Searle (scott@pvillesoccer.com) for AYSO questions or John Vamossy (jvamossy@hotmail.com) for WYSL questions.